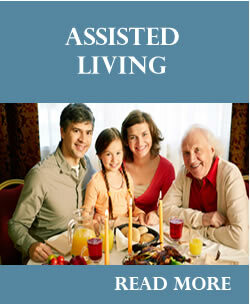 We offer a range of care options. Which is right for you? Delicious meals, housekeeping, scheduled transportation and social activities are just the beginning. At Brighton Court our comfortable units include half and full baths, kitchenettes, cable TV, individual temperature controls and all utilities, excluding phone and cable. Our residents enjoy a host of on-site services. 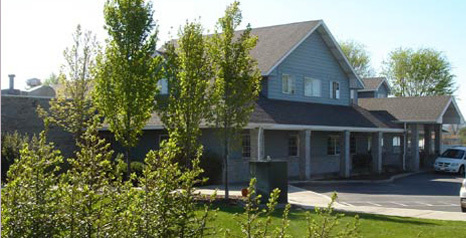 Conveniently located in the Spokane Valley in Washington State, Brighton Court is a 49-apartment senior assisted living community. We support a resident’s right to remain as independent as possible in a home-like setting. Each private self-contained apartment with private bath is part of a larger community, including dining and activity areas. At Brighton Court you have choices about the services you need, the meals you eat and the activities you participate in. It means our staff treats you with the respect and dignity you deserve as a unique individual. 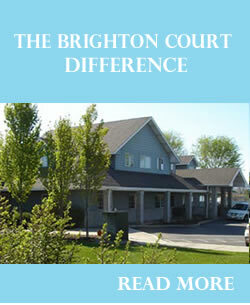 Unlike other facilities, Brighton Court is small enough to preserve a true home-like atmosphere. We are committed to staying at this size in order to maintain the close relationships that develop between our staff, residents and family members. 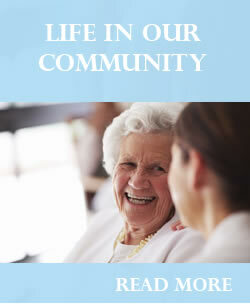 We offer a range of care options. Which is right for you? Learn More. Delicious meals and social activities are just the beginning. Learn More. 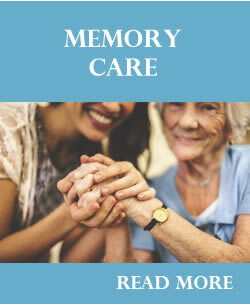 Learn more about our memory care program called Expressions. Learn More.